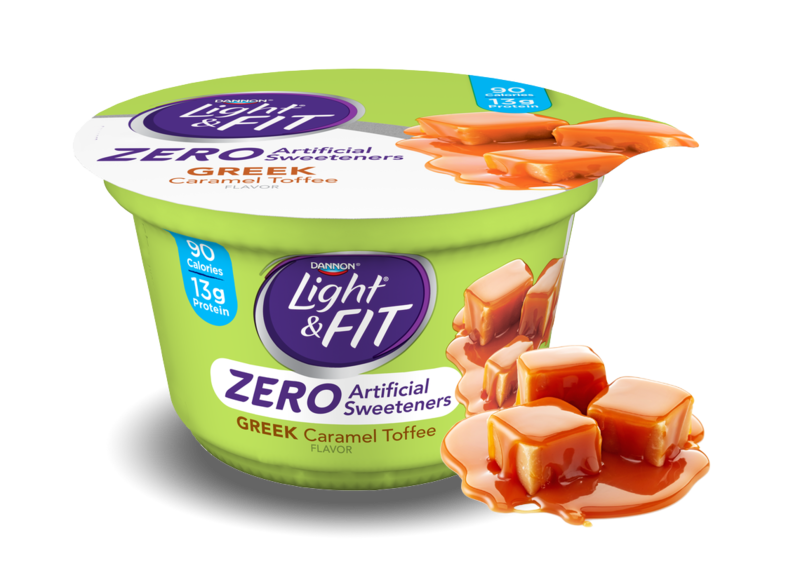 Indulge in creamy, decadent spoonfuls of Caramel Toffee Greek nonfat yogurt. And did we mention it’s packed with nutrients? Sweetened with Stevia and Cane sugar. Cultured Grade A Non Fat Milk, Water, Chicory Root Fiber, Cane Sugar, Contains Less than 1% of Corn Starch, Caramel Color, Natural Flavors, Stevia Leaf Extract, Carob Bean Gum, Malic Acid, Sodium Citrate, Vitamin D3, Active Yogurt Cultures L. Bulgaricus & S. Thermophilus.